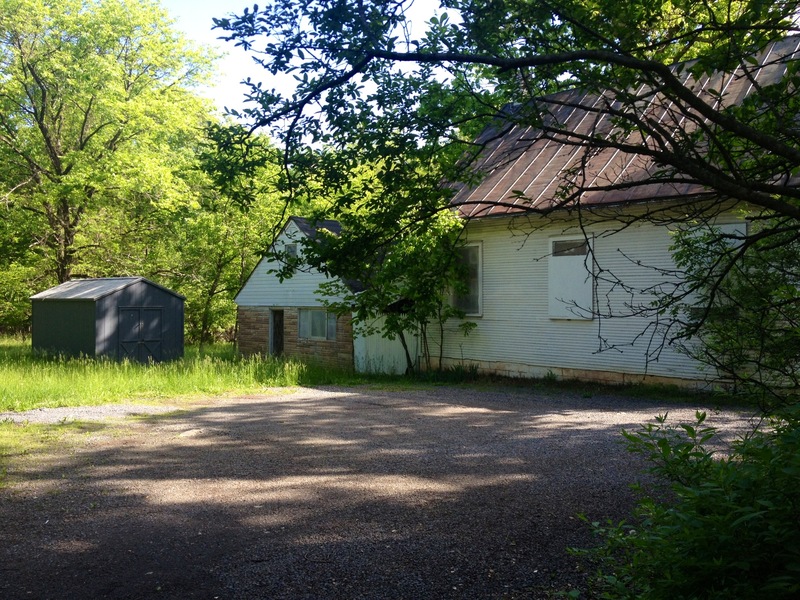 As I’ve mentioned in previous posts, Centreville used to be a mostly rural kind of place, the type of place one might find old houses, big lots, tractors, undeveloped spaces and Republicans. That world is just about gone now — and I like to think the Centreville of today is a much more dynamic, colorful place — but once in a while, I stumble on remnants of the Centreville of yesteryear and I start feeling a little nostalgic for that long-lost world of my very early childhood. 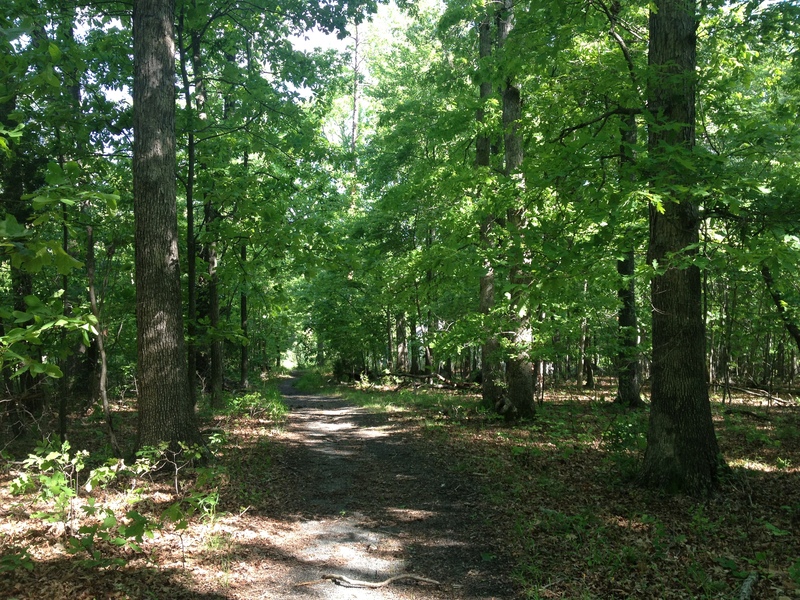 Last week I was riding my bike on a gravel path I discovered near the Virginia Run Development off of Route 29; I’m not sure exactly where I was, but I think I was parallel to Bull Run Post Office Road. 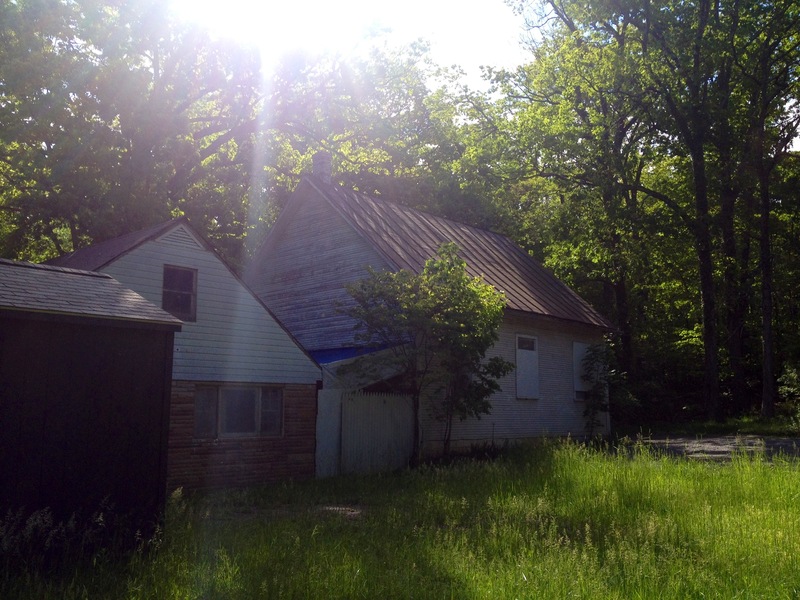 I was happily riding along when the path came to an abrupt end and I ran into an old, abandoned-looking house. I was riding down this path in the woods before I found the house. I caught the path at the Cub Run Stream Valley near Virginia Run. And voila! 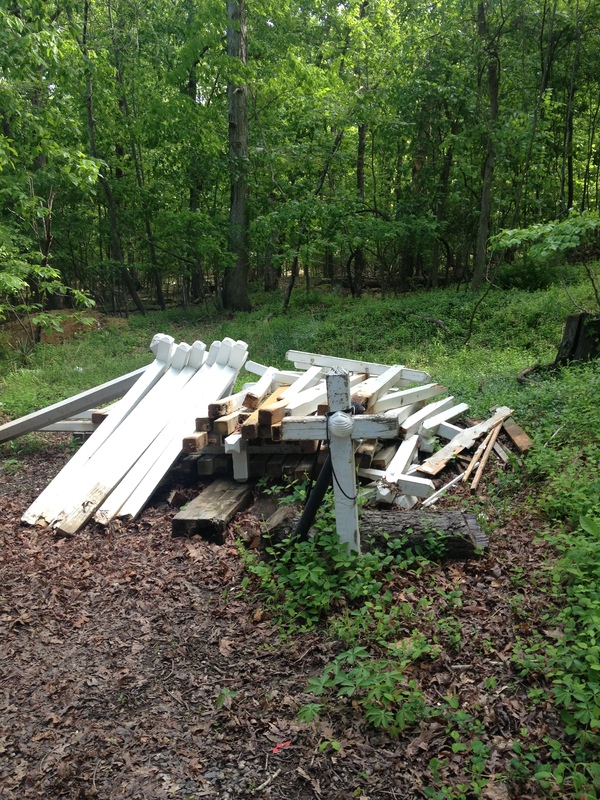 I ran into this house, across from a horse farm and backed my dense woods. The grass was unmowed and the house looked like it had been abandoned halfway through some kind of renovation or transition. 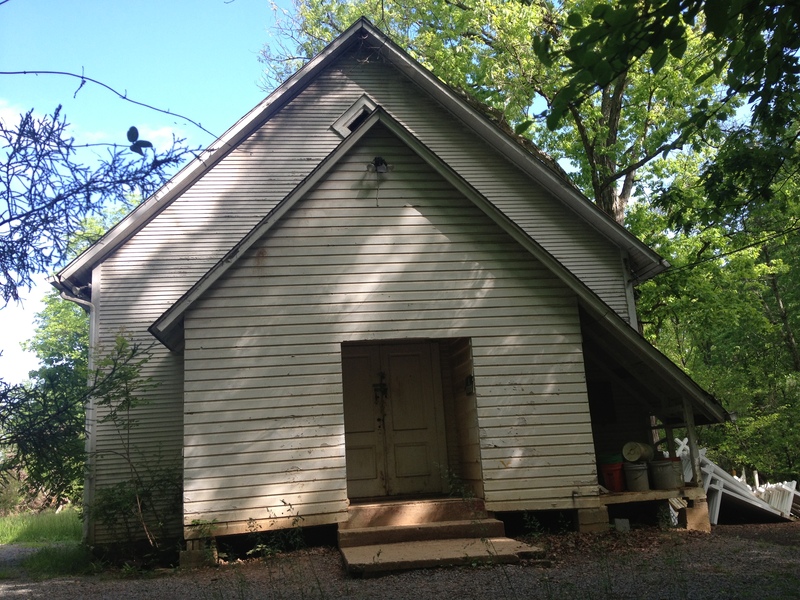 Because one does not often run into an old abandoned structure in the cookie-cutter ‘burbs, I did a little exploring. The side entrance of the building looks kind of like an old church. So I went around back and found this. The cross makes me think that perhaps, this structure really was a church back in the day. I need a little more investigating and I found these. So it looks like at some point the building was undergoing some kind of renovation. Then I found these for sale signs. So was this structure a real estate office at some point? 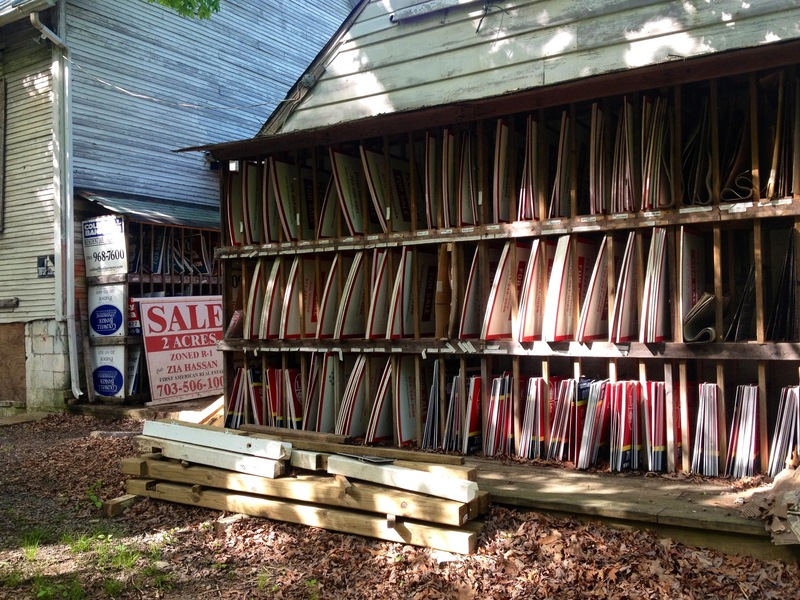 Because I can’t think of any other explanation why there would be hundreds of for-sale-signs stored here. 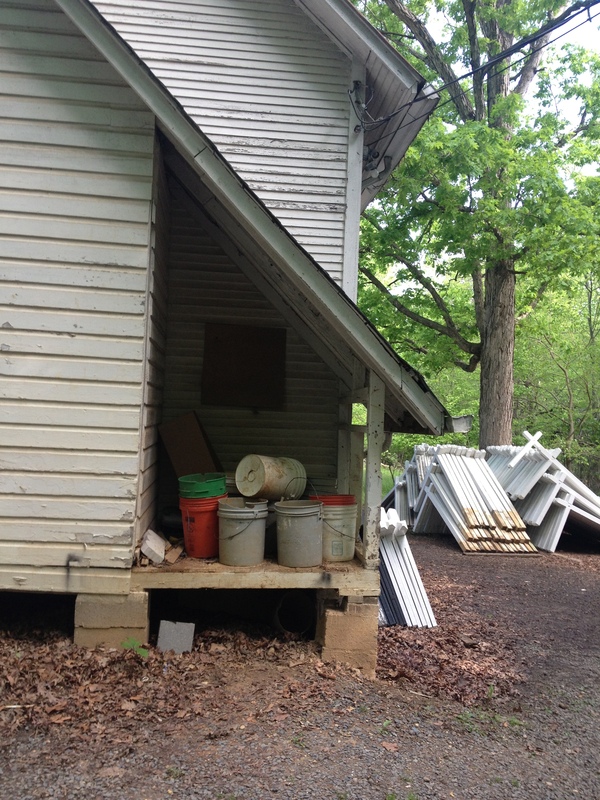 One more view of the house/structure/church/real estate office before I turned around. So, long time Centreville/Fairfax residents: Does anyone know what this structure was/is? I don’t live there, and don’t know where this is–but have you tried calling the number on the signs? I googled the name on the sign, and found a listing for Zia Hassan: https://www.trulia.com/profile/zia-hassan-agent-falls-church-va-zgj13fc8/overview . Maybe he can tell you more about it?